Struggle against Boko Haram entering new phase? A week and a half before Nigeria’s presidential election was scheduled, the military declared in a letter to the chairman of the electoral commission that they would not be able to assist with security measures for another for six weeks due to a major offensive to be concluded in the north-east. As a result, the elections were postponed for six weeks. Observers posed the question on what could be done in six weeks when the insurgency has lasted for close to six years. Now it seems like President Jonathan has intensified the struggle and at the moment gives the insurgency the priority he has been criticised for not showing before. Last summer, the Boko Haram insurgency entered a new phase when the group started to hold territory. Instead of bomb attacks throughout a wide-spread area in central and northern Nigeria, operations have since been more concentrated to the areas around the original base in the north-eastern part of the country. In a period of six months, 30 000 square kilometres came under control of Boko Haram – an area about the same size as Belgium. Nigeria’s military has been criticised for not being able to offer resistance. Instead, ill-equipped and showing lack of determination, soldiers have been reported to flee when Boko Haram members have been approaching and to not arrive when there has been information on coming attacks. On a related note, President Jonathan has been criticised for neglecting the insurgency, not condemning attacks or showing sympathy with the victims. Instead of responding to the #Bringbackourgirls campaign group, efforts were made to undermine the demonstrations and hiring thugs to disperse them. But the latest weeks things seem to have changed. Not only have the military halted the loss of territory but a large part of lost territory has been recovered. 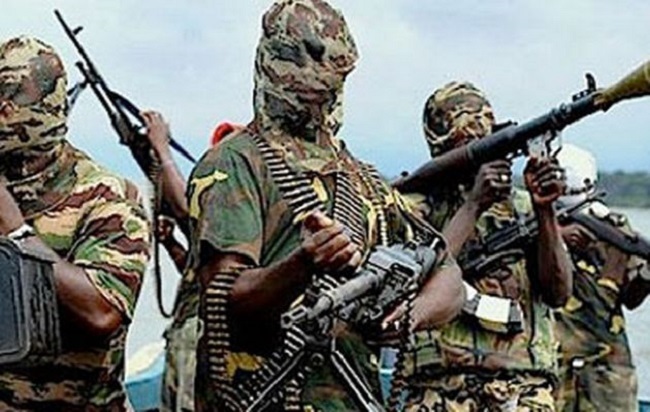 There are reports that numerous towns and villages have been taken back in all three states in which Boko Haram controls territory (Borno, Yobe and Adamawa). The militaries of Chad, Niger and Cameroon have been successful in stopping Boko Haram short of establishing territorial control in the countries. They have since the agreement backed by African Union also contributed to put Boko Haram on the defensive, making operation on Nigerian territory. This coincides with an invigorated approach of the Nigerian government. Not only have more refined weapons been allocated to the troops, but senior military officers are also taking part more directly in the struggle and Jonathan is visiting affected areas and shows support for the troops. The question that comes to mind is: why has this offensive not been initiated before? The president has conceded to have underestimated Boko Haram. But considering the insurgency has lasted during the whole of his tenure, there have been many opportunities to re-evaluate the situation. More likely, increased international attention following the Baga massacre early January, growing discontent from neighbouring countries of spillover effects of both refugees and of Boko Haram attacks, and, arguably, a need to show some results before the elections 28 March. Given the critique for postponing the elections, a business-as-usual approach would appear counterproductive for winning elections. The effectiveness of neighbouring countries’ military has moreover put pressure on Jonathan to regain control over the military and prioritise the struggle against Boko Haram. When Niger’s president Mahamadou Issoufou visited affected areas and delivered a message of support to the troops, he showed the kind of response Nigerians have criticised Jonathan for lacking. Within a week, Jonathan visited Baga and other affected towns in the north east. The loss of prestige that comes with neighbouring countries operating on Nigerian territory would be further worsened if they are the ones succeeding when Nigeria fails. Although the military has recaptured several areas from Boko Haram, it far too early to conclude that it is a matter of time before Boko Haram is defeated. The presence of Boko Haram in the recaptured areas was limited and only in few places has the military met resistance. The intensified military operation may trigger a response from Boko Haram in the form of increased bombing attacks and a change of strategy. There have been several suicide attacks, not only in the north east, but also in Kano, an attack in which at least 26 people were killed. Boko Haram have gone through different phases, from initial preaching to violently targeting government representatives, to attacking worship places, markets and schools, to proclaim territorial control. Rather than being crushed in a military offensive, it is more likely to see Boko Haram entering a new phase to try to frustrate the Nigerian state. Abubakar Shekau, the leader of Boko Haram, has vowed to disrupt the elections, causing fears of an increased rate of attacks the coming weeks. Retaking territory from Boko Haram does however give the government an opportunity to fight Boko Haram with other means than just military. It is critical to establish confidence among the population in the fight against Boko Haram and also to establish state legitimacy. The north-eastern part of Nigeria was already before the Boko Haram insurgency among the poorest in country. It is in immense need of social and economic recovery. Necessary investments cannot wait, but need to be integrated as an approach to undermine Boko Haram.